I’ve made several attempts to visit this restaurant. I had heard from many people that it’s the best hot chicken in Nashville so I had to try it for myself. The days that they’re open you better get there 10 minutes before because the line goes out the door. Even better if you’re able to call your order ahead of time (will try that the next time). You pretty much make the line, pick whether you want t a full chicken or half, the sauce (mild, medium, hot, extra hot) and any sides. Cash only and then you’re given a number. Let the wait begin (if you didn’t call ahead). Finally after what felt like eternity, I get my order. I decide to take it home to enjoy. I suffer the consequences of that decision. 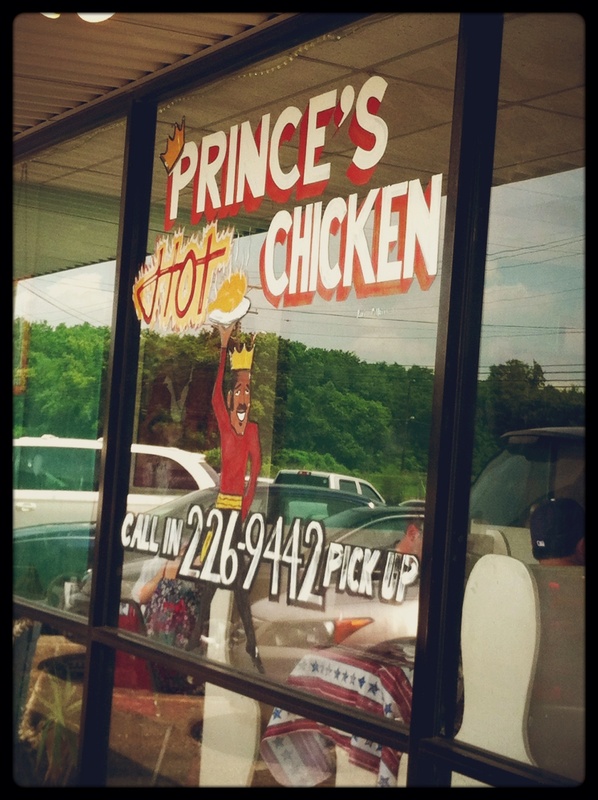 Takes me about 10 minutes to drive home hungry and with awesome smelling chicken in my car. Even my leather seats ended up smelling like hot chicken. 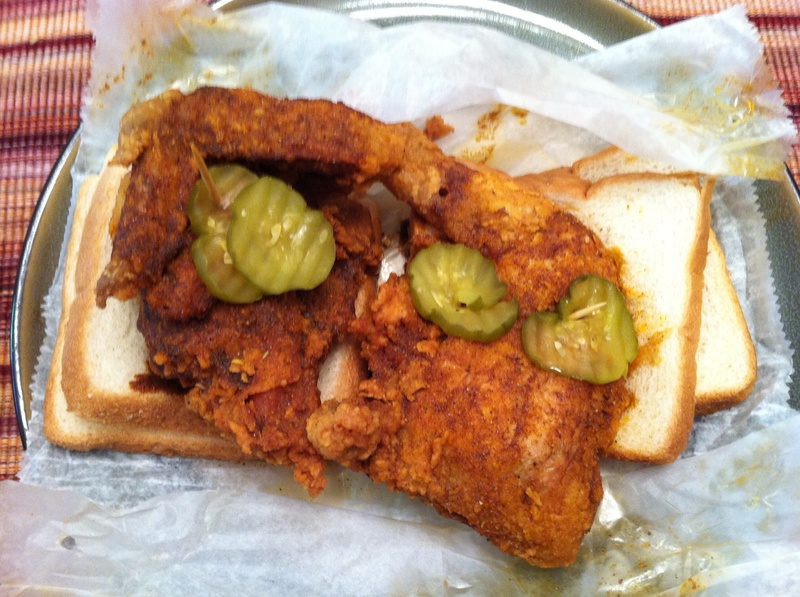 I dive into this hot chicken…WOW!!!! This is hot! I mean I’ve had hot stuff before, but this is the hottest chicken I ever had and it was only medium sauce. I can’t imagine what the extra hot sauce is like. My dining room all of the sudden felt pretty warm and I was eating and taking breaths at the same time. There is a reason why they give you all that bread. Eat up! You’re going to need it. This chicken was delicious, moist, tender, tasty and of course super hot.